The mural, purchased by an art dealer in eastern England, was given its own security guards after appearing on the garage of a local steelworker. LONDON — A British art dealer says he has bought a mural stenciled by street artist Banksy on a garage wall in Wales for more than $129,000. 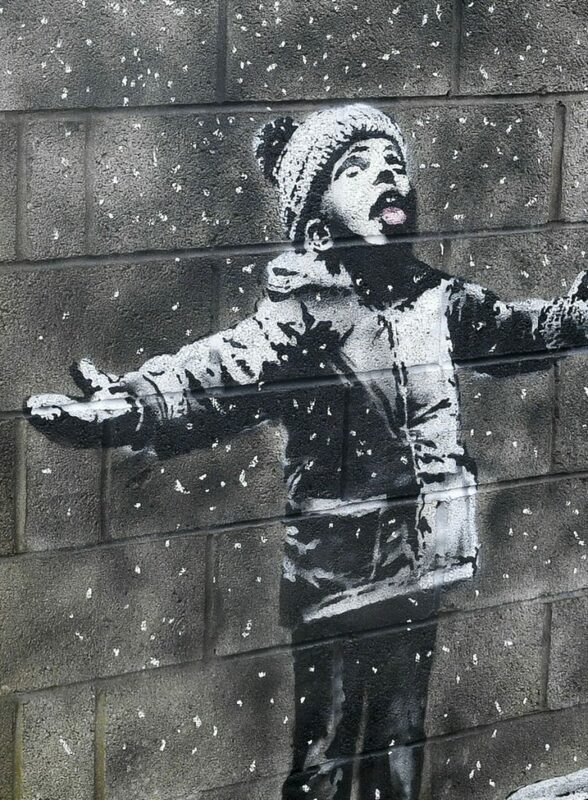 The artwork in Port Talbot shows a child playing in falling ash from a dumpster fire, an apparent reference to the steel town’s air pollution. Security guards were hired to protect the work after it appeared in December on a steelworker’s garage. John Brandler of Brandler Galleries in eastern England said Friday he has agreed that the mural will stay in place for at least two years. Brandler praised the garage’s owner, Ian Lewis, who turned down higher offers in order to keep the work in Port Talbot, according to the BBC. “I think the town has fallen in love with it, I think everybody loves it and it would have been a shame for it to move from the area,” he told the BBC.